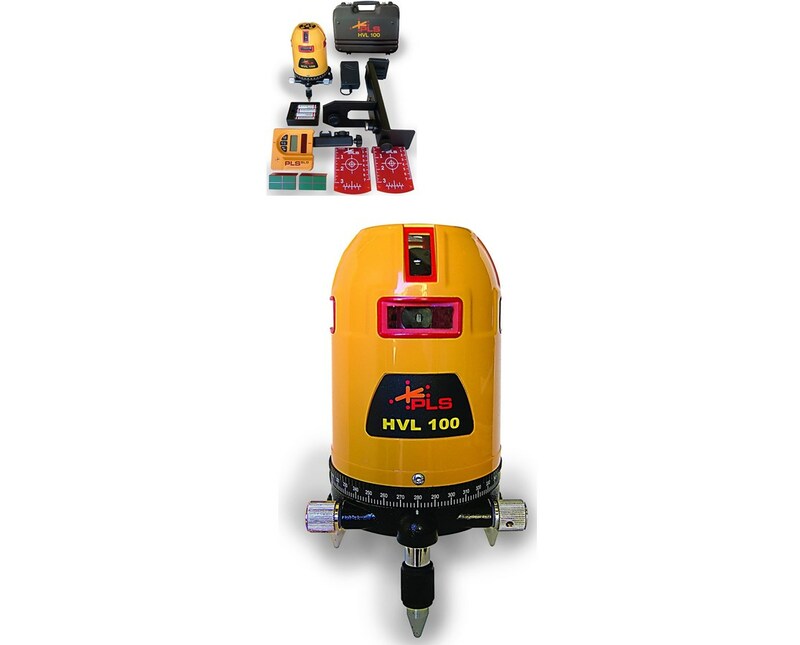 The Pacific Laser Systems HVL100 Horizontal & Vertical Line Laser Level is a versatile and powerful construction laser that provides the best features for cumbersome remodeling projects. 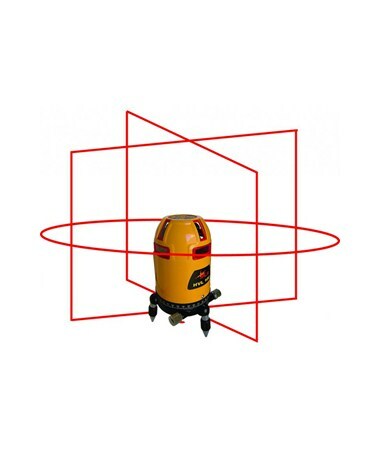 Self-leveling within ±4 degrees, this laser level is the perfect choice for interior reconstruction, ceramic tile layout, electrical/HVAC tasks, and wallpaper installations. 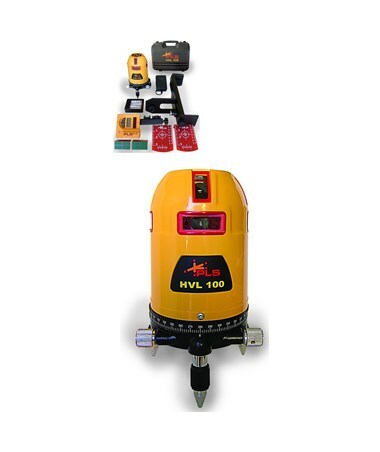 The HVL100 laser offers a horizontal accuracy of ±1/8 inch at 60 feet. 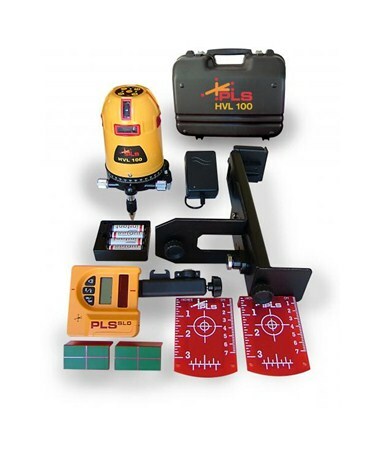 The PLS HVL100 line laser level boasts a long range of up to 100 feet outdoors when used with the optional SLD line detector. It emits a 360-degree horizontal beam and two sets of 180-degree vertical beams that are ready for layout, plumbing, leveling, and squaring tasks. 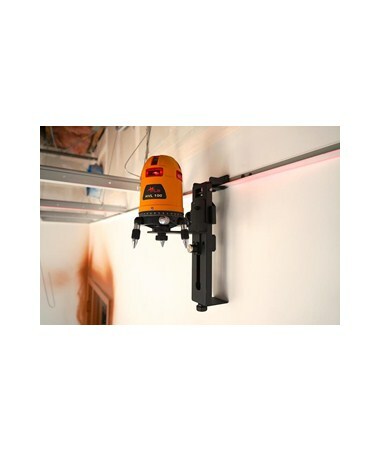 This line laser also features an out-of-level indicator for added precision. 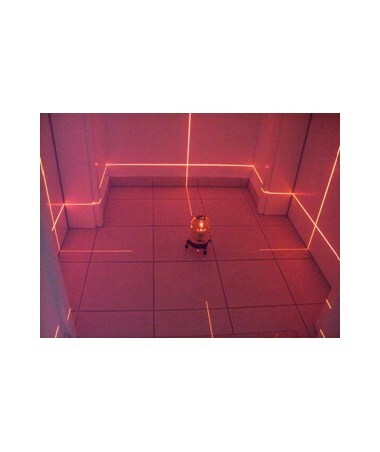 With an IP54 rating, this Pacific Laser Systems line laser is protected from dust particles and water splashes. It uses four alkaline or rechargeable batteries that allows the device to continuously use all beams for up to six hours. The HVL100 weighs only 4.38 pounds and measures 8” L x 3.75” W x 11.5” H. Plus, it features a 5/8-11 tripod thread that is compatible with most tripods. 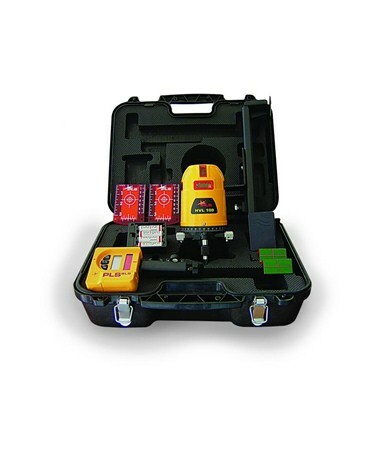 The Pacific Laser Systems HVL100 Horizontal & Vertical Line Laser Level offers an optional SLD detector that allows reading at long distances. Please choose from the menu above.